With Apple’s Voice Memos app, it is easy to quickly record a voice note, memo, or a conversation. For iPhone users, this useful app has become an alternative to those mini-type recorders that people use to finish a variety of recording tasks when they are working or driving. One day, you may find there are tons of voice notes stored on the iPhone, even some of them are accidentally deleted or lost. Then it’s time to retrieve deleted voices memos from iPhone 6s, 6, SE, 5s, etc. and transfer voice memos from iPhone to computer for safe backup. Lost or deleted important voice memos? 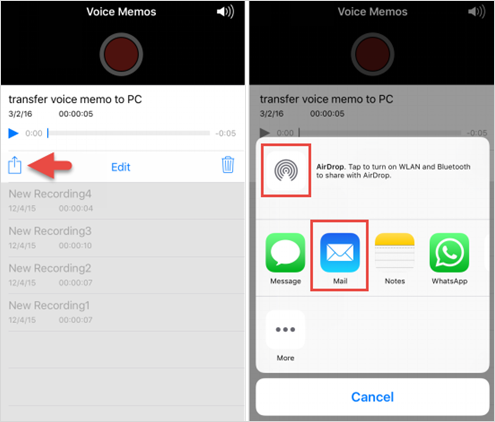 Need to extract the voice memos existing on iPhone? 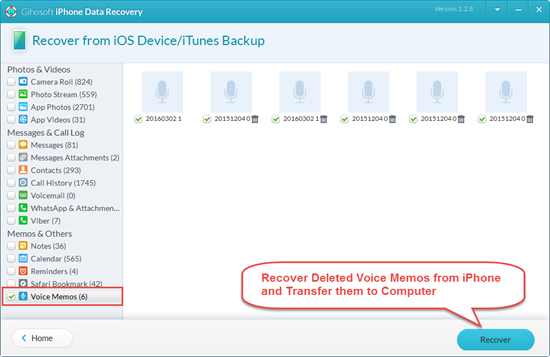 iPhone Recovery is able to have it both ways: to recover deleted voice memos from iPhone and transfer them to computer. Step 1: Run the iPhone Data Recovery on computer and ensure “Voice Memos” is selected. Step 2: Connect the iPhone to computer or skip to select an iTunes backup file if your device got lost or badly damaged. Step 3: Scan and extract voice memos from iPhone or iTunes backup. 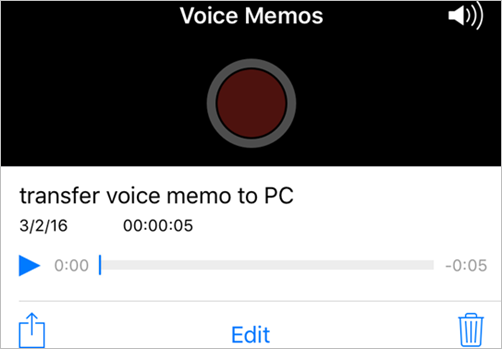 Step 4: Preview “Voice Memos” and click “Recover” to export them to PC. 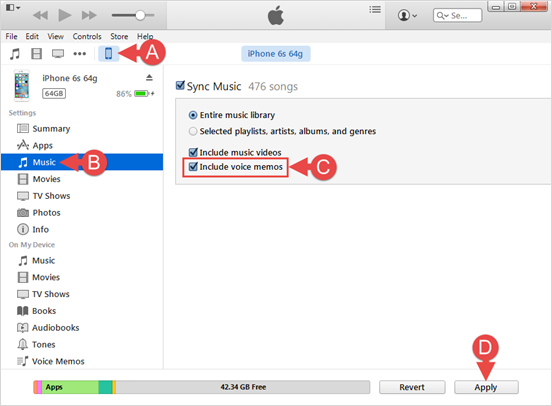 Actually, iTunes should sync Voice Memos no matter how many recordings are stored on your iPhone. Just follow the steps to copy them to Windows PC or a Mac. 1. Connect iPhone to PC or Mac either through USB or Wi-Fi. 2. Open iTunes and click on the iPhone icon. 3. Check the option “Sync Music” > “Include voice memos” in the “Music” tab. 4. Press “Apply” (or Sync) in the bottom right corner. Then your memos will be added to Music Library and Playlists. From there, you can drag them to your desktop or save in other folders. There is a simple way to get a recorded voice memo onto your computer: using Share option directly within the app. This is suitable for transferring a single memo or a small group of recordings, but isn’t the best solution for copying large batches of recordings. 1. Open Voice Memo on your iPhone. 2. Tap on the voice track you’d like to download. 3. Tap the Share option and send it to computer by AirDrop or Mail.